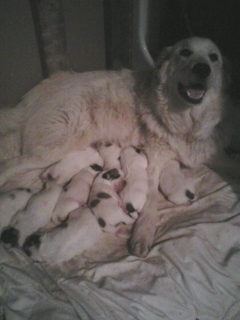 I have been raising Great Pyrenees dogs now for some time. They are known as the gentle giant. They have become my all time favorite breed. 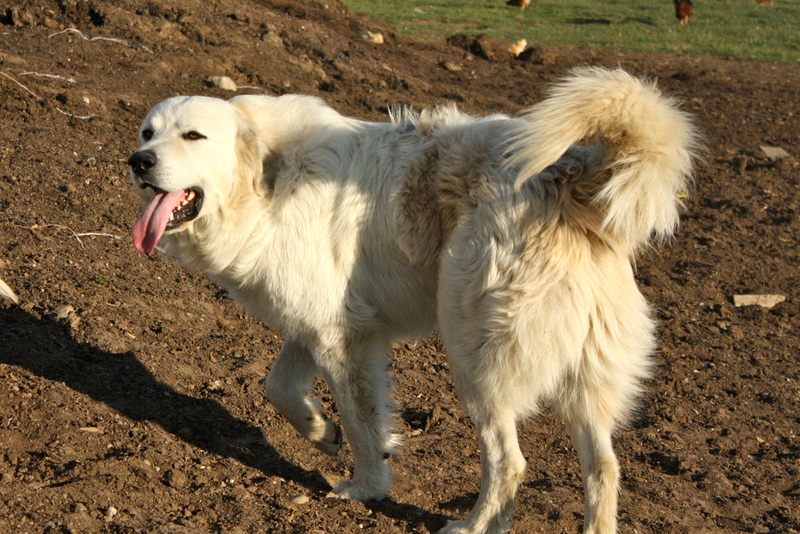 The Pyr is very loyal, confident, fearless yet gentle. They are patient and affectionate yet strong willed. I feel as though they are an incredible breed of dog. 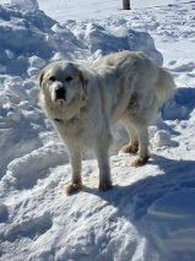 We breed our dogs for livestock guardian dogs LGD, however, they make wonderful family pets as well. They are protective but not to the point of worrying about them biting a human. Their size is enough to intimidate a human and their bark is usually enough to keep unwanted critters away. The life span for a Pry is 10-12 yrs of age. Males can get very large, weighing from 110# to 160#. Females average from 85# to 115#. Meet J.T., he came from Tennessee. If I could rename him, I'd call him King because he is just that! He is the first male that I bought and I feel very partial to him. I feel as though we have a very strong bond. He has an amazing way about him! He is very loyal to myself and his girls. He's an awesome dad as well! When his female has their pups he wants to help take care of them. It is wonderful to watch him tip toe around the pups and help care for them. He is a great guard dog, keeping away anything from a coyote to a hawk, yet he's very friendly to people. He weighs approx. 115 lb. but his offspring can be quite large. He was born 12-25-10. 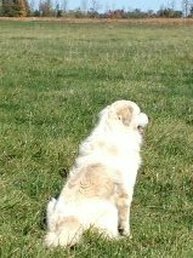 Daisy is actually 1/4 Anatolian Shepard and 3/4 Great Pyrenees. Her mix makes her an outstanding guard dog, but she is also as much of a pet. Even though she loves her job and does it very well. Unfortunately, we lost Aspen. She got hit by a car. Meet Aspen...I got this super sweet girl from the amish in Dec. of 2015. She appeared to have been abused. We have spent a great deal of time with her nurturing her mind back to health. She is doing amazing! I love her so much! She has a great personality and is very beautiful. I tell everyone that she is classy. When you see her trotting around in the field, she looks so classy and proud. Meet Gracie...She brings a smile to my face every time I think about her! 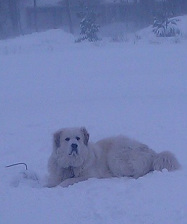 She came from a breeder here in Michigan and she was my very first Pyr. She has an amazing personality and is very loving. She is an incredible mother also! Her and I share a special bond that I will always cherish. Even though she is very loving, she is also a good guard dog. Gracie typically gives me a litter of pups once a year in Feb. or March. She weighs about 80-85 lb. and was born 7-2-10. Meet Millie...she is was new to our operation in Feb. 2014. She was born 4-8-12 and is a real sweetheart! She reminds me a lot of Gracie. Super sweet but yet a very good guard dog. She is an excellent mother as well. I have grown to love Millie as much as any of the other dogs. It feels like I've raised her from a pup. She weighs about 85-90 lb. Millie has also been retired from breeding. 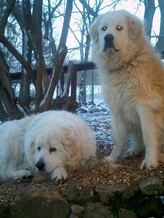 The dog on the right (Finn) was a male pup sold to a gal from Indiana. She says he is now weighing 150 lb. He is from J.T. and Gracie. They still keep in touch with me and tell me how much they love him and what a wonderful dog he is. This guy here is another J.T. and Gracie offspring. So very handsome!! The pups that these dogs through are really awesome indeed! Again, here we have another male on the right from our J.T. and Riley's litter last year. He is just gorgeous! This big guy's name is Henny. He is only a year old here and is just as beautiful as can be! He is out of JT and Millie. This guy here had a full badger face when he was born. 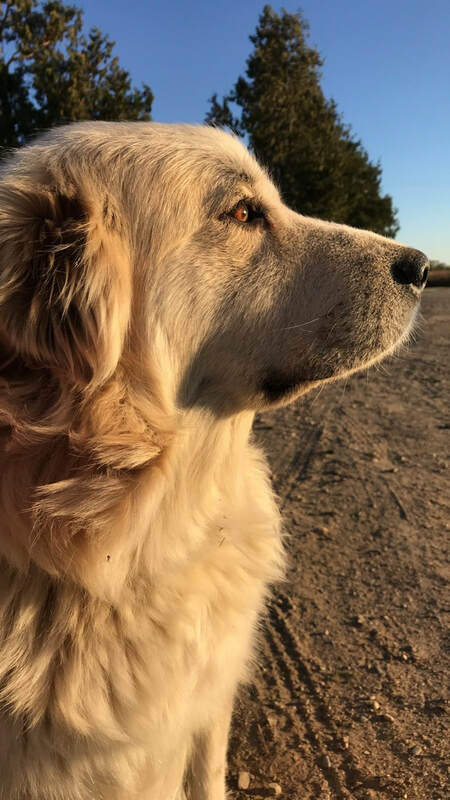 He is an outstanding dog, very very beautiful. At the time of this pic he was only 9 months old and weighing over 100 lb. easy. He is out of J.T. and Riley. His name is Bear.